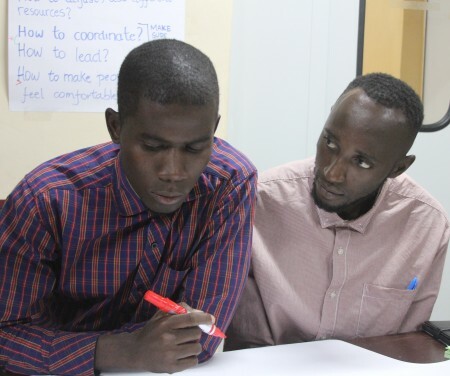 The programme is expected to compel participants acquire ability to craft exceptional business structures, increased management skills, and maximise streams of profit. It will also enable them to experience application of different business models during the programme. DEADLINE EXTENDED: Apply until Wed 12 September! - The programme will consist of weekly mentoring sessions and monthly review meetings. - Interest in becoming a mentor in the future schemes/ in the next cycle. There are two ways to apply to participate in this programme. 1. Fill out the physical application form from the GYIN Gambia Office (at Churchill's Town) or all GYIN Regional Youth Chapters. Return the completed forms to GYIN Office, GYIN Regional Youth Chapters or YEP Office. 2. Fill out this online form. The Application deadline for either method is 31 August 2018 at 11 pm. For questions and further information, please contact GYIN through the following numbers +220 3938929/ 6181700/9941188 or email:gambia@gyin.org.